NEF UK’s Empowering Women Through Non-Wood Forest Products (NWFP) project has seen substantial progress with its gender-focused value chain approach to using the harvesting of non-wood forest products to alleviate poverty while improving agency and inclusion for women. It has surpassed goals for reach, knowledge building, and increased income. In Sudan, women make up 72% of those involved with the harvesting and selling of forest fruits but earn 80% less than men in the sector. 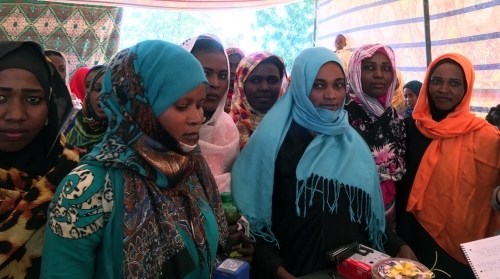 NEF’s Comic Relief-funded efforts in rural Sudan are working to change this by introducing women’s voices into the negotiation process, creating market linkages, and establishing standard pricing. 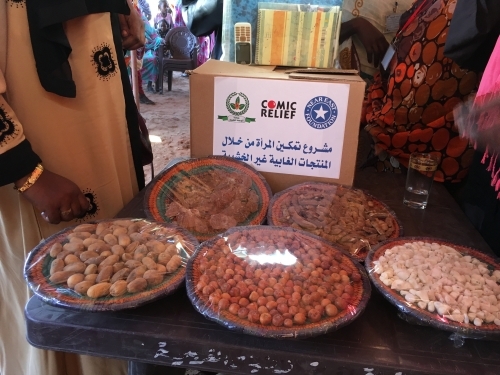 This is positively impacting the lives of women and their families in poor, remote Sudanese communities by increasing their incomes and also improving the management of natural resources. NEF is working to introduce new techniques for producing and harvesting key non-wood forest products, such as gum arabic, desert dates, honey, sider, baobab, and other local forest fruits that improve quality but reduce the degradation of the trees that produce them. The formation and capacity building of local women’s associations is the main entry point for the empowerment process that NEF seeks to achieve for women in these communities. The women’s associations act as a cooperative for efforts around marketing, commercialization, sales, and management of these natural resources. The second half of 2018 has provided an opportunity to evaluate the success of the last agriculture season which came to an end in the Spring in Kordofan. At the association level, and through continuous facilitation and coaching, thirteen women’s associations have been able to sustain the services and benefits offered to their members through profit sharing, trading activities, and membership fees. The benefits of association membership include facilitating better sale contracts with wholesalers, producing/selling under a unified brand, facilitating organic certification, and access to credit and loans. The profit generated by the women’s associations in the first five months of 2018 was GBP 19,256 (USD 25,335) and many are now operating revolving funds with 348 active clients that support working women and reduce the depletion of forests. This revolving fund provides loans for members to acquire items like butane gas cylinders for cooking to replace cookstoves that consume firewood and affect local forests. It also provides loans for brick making to replace the wood-dependent houses which deplete local forests, as well as loans for women to purchase harvesting equipment. “Trainer of trainers” sessions brought together a range of stakeholders such as representatives from government ministries and local community leaders; a significant achievement in itself. On their own initiative, these two groups have decided to come together on a regular basis to collectively address issues surrounding natural resource management and conflict—ensuring that NEF’s efforts will be sustained long into the future. Women beneficiaries have reported the ability to gain some economic independence as one of the most important benefits of the program. Marketing skills have proven popular among beneficiaries, with many trainees requesting additional training in this area. Ms. Raugia is a member of the women’s association participating in the project in Tafentara. In an interview at one of the women’s meetings, Ms. Raugia offered a few words regarding her impression of the project. Ms. Rashida, one of the members of the women’s association in Aman Alla village at Um Rawaba, expressed her enthusiasm with the project and the advancements it has achieved for the women in her village.